Winter is a world class event along the Byway. Northern Bayfield County offers guided dog sledding adventures. 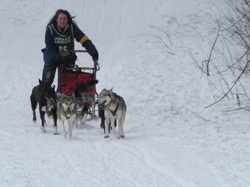 The Apostle Islands Sled Dog Race in February is growing more and more popular every year.